We’re delighted to be bringing Hot Chip’s Alexis Taylor back – this time to St Michael’s! 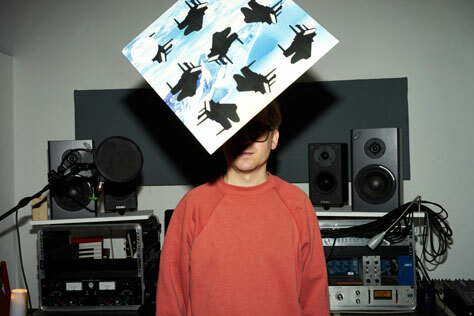 Alexis Taylor announces Listen With(out) Piano, a companion album to his 2016 record Piano. Released 3 March via Moshi Moshi, Listen With(out) Piano features new versions by artists including Papa M (David Pajo), Green Gartside (Scritti Politti), Spring Heel Jack, Beatrice Dillon and Brian DeGraw (Gang Gang Dance), which can be played on their own, or at the same time as the songs on Piano, to create a brand new listening experience. Piano, recorded at Hackney Road Studios by Shuta Shinoda, was released in June 2016 by Moshi Moshi. An intimate collection of songs comprised entirely of Alexis’s vocal and piano, the record was captured live to preserve each intricacy. Since 2000, Hot Chip have released six studio albums, as well as a wealth EPs, stand-alone singles, compilation exclusives, remixes and covers. Including Piano, Alexis has released three albums and an EP under his own name, as well as three further albums of material performed with the semi-improvisational About Group. Additionally, Alexis has crafted side projects such as Booji Boy High and collaborated with the likes of Wiley, Peter Gabriel, Will Oldham, Fimber Bravo, Bernard Sumner, Robert Wyatt, Justus Köhncke, The Memory Band, James Yorkston and David Byrne among many others. Tour support comes from Lung Dart. Following the release of their acclaimed mini-album on PRAH Recordings, transportive two-piece Lung Dart return with their first sounds of 2017. The first in a series of EPs planned for this year, Some Other Hunger sees the band weaving richly layered gospel harmonies with narcotic ripples of subaqueous piano, all peppered with head-spinning found sounds and new forays into sound art experimentation. The results are melancholy yet uplifting: a dense collage of sonics channeling in turn the lugubrious songwriting of Scott Walker, Satie‘s meditative loops and the playful tampering of Daphne Oram – not to mention the myriad field recordings to be found on the pair’s phones.